Online registration costs slightly higher due to credit card transaction fees. 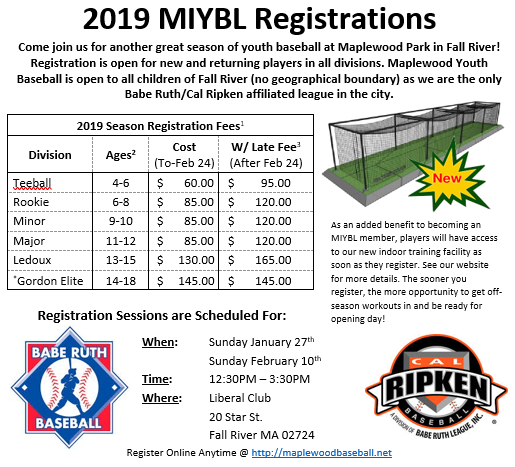 Other financial commitments may include the purchasing of up to $30 worth of raffle tickets before the season starts if not sold, optional buyout of Tag Day if player chooses not to participate, and $20 (per season) usage fee of new indoor batting cage facility exclusive to MIYBL members. Late fee includes $30 mandatory raffle ticket fundraiser + $5 Late Penalty Fee. *Gordon Elite Division Season is a Summer League that begins after Ledoux Season Ends. 14-15 Year Old Gordon Registrants MUST participate in the Ledoux Division. 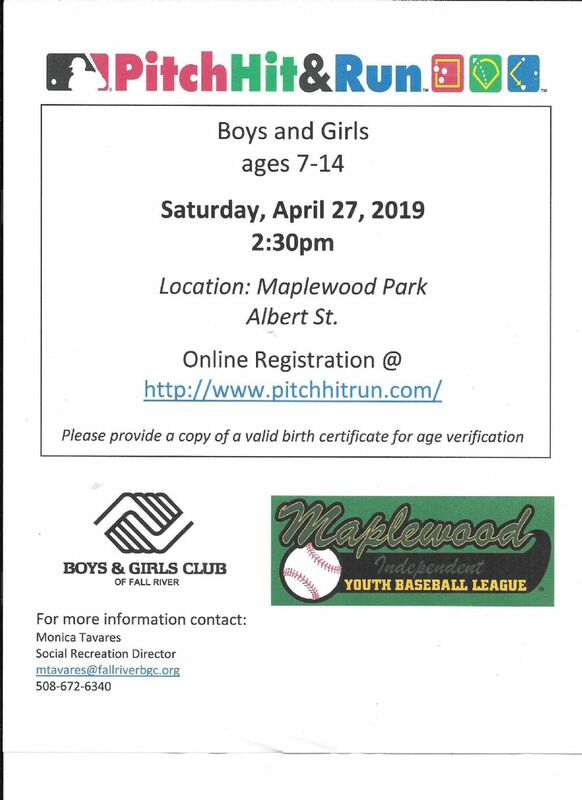 Gordon Elite division does not sell raffle tickets, participate in tag day, nor does late fee apply. 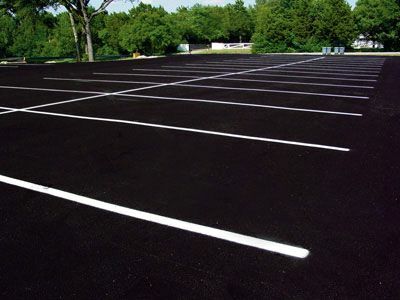 MIYBL Would like to ask all managers, coaches, and parents to utilize the parking lot adjacent to CP field for all games as a courtesy to the neighbors surrounding the park. Thank you for your cooperation.